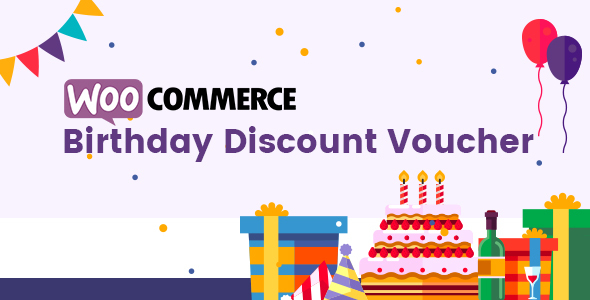 Woocommerce Birthday Discount Vouchers is a woocommerce addon which allows you to setup discount and send the discount vouchers to the users on their birthday. Whenever a new user registers on your site with their birthday. The plugin automatically generates a coupon code based on the admin settings and email it to the registered user on their birthday. The plugin internally uses the default woocommerce coupons so there are lots of filter and criteria options when you setup birthday discount vouchers. Easily setup discount for the users. Automatically generates a different unique coupon each time to send email with the coupon on their birthday. Uses woocommerce mailer for sending pretty emails to customer for the new registration coupons. Functionality for admin to set for how many time the plugin will send coupon to the user on their birthday year.